Atiku releases details of INEC server ‘proving’ his victory over President Buhari in presidential election, to invite Microsoft, IBM, Oracle as witnesses – Royal Times of Nigeria. 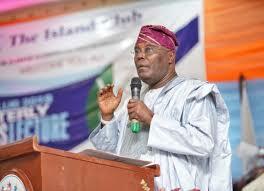 Presidential candidate of the Peoples Democratic Party, Atiku Abubakar, has released further details about the server of the Independent National Electoral Commission (INEC) to back up his claims of his victory over President Muhammadu Buhari, candidate of the All Progressives Congress (APC), in the February 23 presidential election. INEC had declared Buhari winner of the election. However, Atiku has since claimed he actually defeated President Buhari by one-point-six million votes. In his submission to the Presidential Election Tribunal, the former Adamawa State Governor-Elect had given the “unique MAC address and Microsoft product ID of the INEC server” from where the results were obtained. INEC however said the result being paraded by Abubakar is fabricated and not from its website. But Atiku and the PDP in their fresh response said that they are willing to engage experts from Microsoft, IBM and Oracle to verify their claim that the servers belonging to the INEC showed that he defeated President Buhari. Atiku and the PDP also alleged that Professor Mahmood Yakubu, the INEC chairman, “committed grave errors in the final collation exercise” for the election by “falsely crediting” some persons with political parties. While Atiku continues building his case on his access to the INEC server, the APC has already taken a different course, instead telling the tribunal Atiku shouldn’t have been eligible to contest the election in the first place because he was not born a Nigerian but a Cameroonian.